It’s here! It’s here! 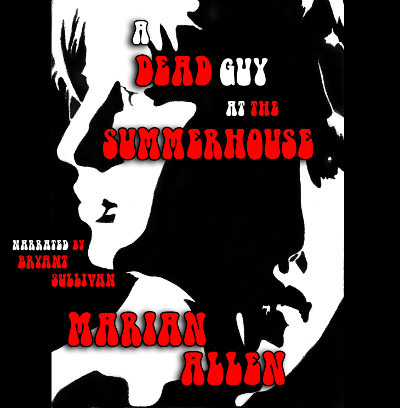 Bryant Sullivan’s production of A DEAD GUY AT THE SUMMERHOUSE is up at Audible! In case you can’t tell, I’m so excited I could plotz! ~MA plotzes~ See? Mitch Franklin thinks he’s got it made when the town’s wealthiest eccentric hires him to look after her two lapdogs. Then he meets her family. Five years ago, the last guy she hired played head games the family and servants are still trying to recover from. He also wound up dead. Now, some people think Mitch might be just like him. Some people think Mitch might be him, back from the grave. Will Mitch survive the anniversary of his predecessor’s death, or will he be another dead guy at the summerhouse? Here’s a 5-minute sample. If it doesn’t work, just go to this page and listen to the sample there. Let me know what you think in the comments here! A WRITING PROMPT FOR YOU: Something happens that sends your character into a happy dance. This entry was posted in A DEAD GUY AT THE SUMMERHOUSE, Sample Sunday. Tagged announcement, audiobook. Joe — Just. That. Good. That fellow has a VERY soothing voice! I could easily tell the difference between Mitch’s internal monologue and his dialogue. Big important. And the gel’s voice was just as alluring and crazy as Mitch deemed it. I’m so glad you like it as much as I do! 🙂 YES, all those reasons! A.C. Flory would love to share..Skippy the Islamist kangaroo?